Well, sometimes people get so carried away with the anonymity of the internet that they forget that other people do pay attention – especially those that you are bad- mouthing. Watch how one review caught the attention of the chef – and how she responded served up a piping hot plate of the truth. 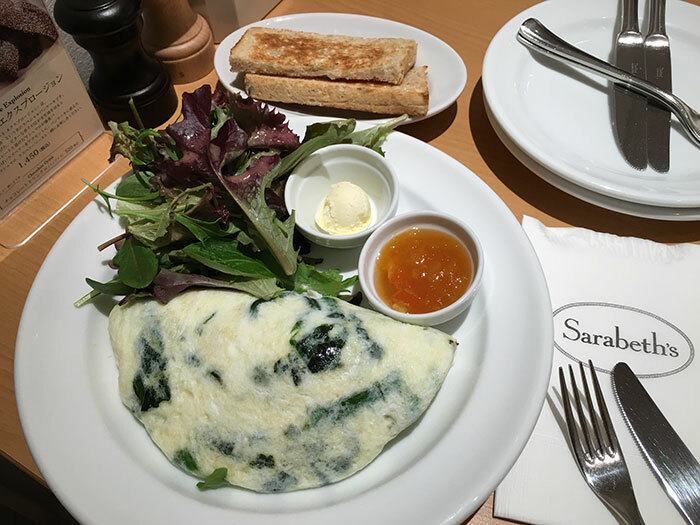 “Serves a goat cheese omelette (on the menu) with mozzarella cheese !!! That’s right and they tried to pass it off as got cheese! 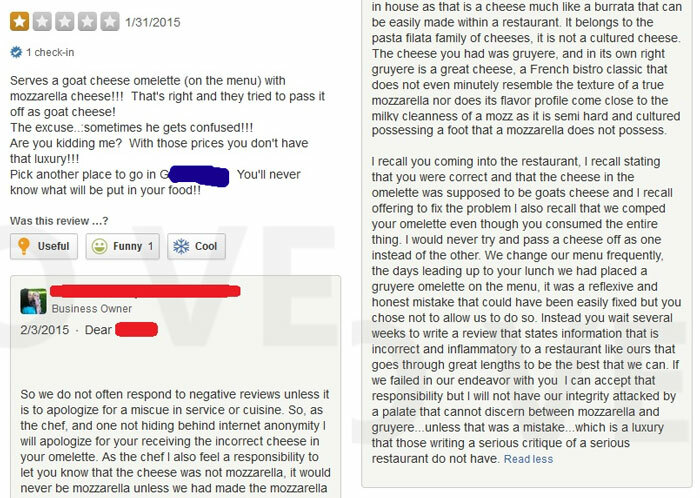 “So we do not often respond to negative reviews unless it is to apologize for a miscue in service or cuisine. So, as the chef, and one not hiding behind internet anonymity I will apologize for your receiving the incorrect cheese in your omelette. As the chef I also feel a responsibility to let you know that the cheese was not mozzarella, it would never be mozzarella unless we had made the mozzarella in house that is a cheese much like a burrata that can be easily made within a restaurant. It belongs to the pasta filata family of cheeses, it is not a cultured cheese, The cheese you had was a gruyere, and in its own right gruyere is a great cheese, a French bistro classic that does not even minutely resemble the texture of a true mozzarella nor does its flavor profile come close to the milky cleanness of a mozz as it is semi hard and cultured possessing a foot that a mozzarella does not possess.